Many ADHD adults I work with have a task list that is impossibly long. That is, it is just not feasible to accomplish what they think they “should” do. If you are in a similar situation, I know it’s probably frustrating and overwhelming for you. It can feel like a never-ending trip on a hamster wheel. And when you’re in this place it seems like there is no end in sight, right? So, you may alternate between avoidance and overworking. As your task list gets longer and longer you just try to keep the hamster wheel spinning. But it doesn’t feel like you’re getting anywhere. And you may often be in a reactive mode. It’s possible to escape this cycle. I know because I’ve helped many people get grounded and centered in their relationship to their to-do list. And, when you can do this, you’ll breathe a sigh of relief because you will manage your tasks instead of them managing you. The key is to trust that the time spent slowing down and learning how to be proactive is time well spent. I’m not going to tell you it’s an easy or quick fix. Because it’s not. And you’ll even feel uncomfortable at first because that’s not the way you’re used to operating. Especially as an adult with ADHD. But once you start this journey you won’t want to go back to your old way of doing things. Promise. The primary purpose of a to-do list is to give you the confidence you will remember your responsibilities. The secondary purpose is to help you make decisions about how to execute on those obligations. But you can’t achieve either of these objectives if you are currently writing your tasks in random places. As being inconsistent about where you store your tasks makes it hard to remember them, never mind making decisions about how to follow through. So, it may make sense to you to store them all in one place, right? But a master to-do list, in and of itself, is not going to help you be more productive, really. You also need to have a well-crafted task list and a process for interacting with it. Without these components, your to-do list might be counterproductive, as it can get in the way of your ability to execute. Let’s look at why this is and what you can do to effectively use your task list. One reason your task list may not be working for you is you simply have too much to do. Sure, it reminds you of your obligations. But, if you don’t know how you’re going to get all of them done, it can feel just as overwhelming as having several lists. So, after compiling your master list, you may start to avoid looking at it. Then you will lose confidence in its usefulness because it is not up-to-date. Subsequently, you may revert to your old way of doing things, like trying to keep your tasks in your head or writing them in random places. 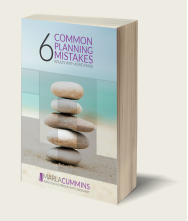 A second reason you may not be completing the tasks on your list is they seem too complex. So, you may end up glossing over those and opting instead to do the easier, shorter tasks. After all, you can feel better and get that dopamine hit when you can check off a bunch of easier tasks, right? Not having enough information about your tasks to make decisions about what to work on is a third reason your task list may not be working for you. As you look at each of your tasks, do you know how long they will take, when they are due and what you need in order to do them? If you lack this clarity, you might avoid deciding to act. To address the challenge of having too much on your list the first step is deciding what to put on your plate. Obvious, I know. But, like many ADHD adults, you may put everything on your list that comes to mind. So, whenever you think, “I should…,” you put the task on your list. And it continues to explode exponentially! It’s time to tame your list. To do this start by clarifying your capacity and your priorities. Not easy when there is so much you feel you want to or should do. I know. But critical, if you want to succeed at what is important to you. To get this clarity use the urgent important matrix. And remind yourself that ADHD adults do better by doing less, really. Am I the only one that can do this task? Does this task require me to use skills that are not my strong suit or to my liking? Is there someone else better suited to doing this task? Can I delegate, barter, ask or hire someone to do it? While you may ultimately be responsible for making sure a task is done, you don’t always have to be the one to do it. As an ADHD adult because of your history, perceived or otherwise, of falling short, this may be particularly true for you. You want to prove you are capable. So, you may often say “yes” without really knowing whether you can accomplish the task. But, when you take on too much and fall short, you end up letting down the very people you wanted to impress. Sound familiar? Part of the answer is to learn how to say no graciously. By doing this you will have more capacity to do well at your chosen work. Presumably, if something is on your task list you intend to get to it, eventually. Right. But, what if you’re just not getting around to it? It might be your list is still too long relative to your capacity — time available. But your ADHD related challenges with time likely make it difficult to know your capacity. That is, you may have difficulties estimating how long something will take to do. And you also conceive of time is now and, well, not now. For these reasons, you may not be able to pinpoint when you are going to do something. If something is truly a priority and you’re not getting around to it, you may want to consider blocking off time in your calendar. The trick, and what makes this so hard for many, is you will need to treat these times as any other appointment. But you also need to be careful not to go overboard. Once you start blocking off time you may be tempted to over schedule in an effort to add more structure to your day. If that works for you, great. But, in my experience working with ADHD adults, you will feel resentful if you have too much structure. So, you just need to find that sweet spot, whatever that looks like for you. Try initially blocking off time for the next week to work on your most important tasks related to your projects. Maybe choose 3 each week. We’re not done, yet. You still probably have more on your list than you can possibly do. And I bet you’re thinking, “I’ll get around to it when I have time. Later.” When will you have time? Right. You’re not really sure. As a result, these open loops continue to contribute to your stress. Making the decision to intentionally defer some of your tasks either indefinitely or to a later date can ease this overwhelm. Those you choose to defer indefinitely are ones you don’t want to forget, but you have no intention of acting on. At least for the foreseeable future. Put these on your maybe/someday list. This may include possible trips, interesting business, ideas, new hobbies, etc. When is it due? If there is not a hard due date, you might also want to consider whether there are stakeholders waiting for something from you. What are the action steps? You need to have some sense of this to be able to answer the next question. How long will it take to? I know this is a tough question to answer. Try adding 50% to your estimate to be safe. When will I come back to review and decide when to start this? Put that date in your task manager as a reminder. Of course, your priorities will change. During each weekly review, you can reevaluate what you want to do with your deferred tasks. You may decide later on to drop, do or delegate these deferred tasks. But for now, they are off your plate. Intentionally deferring tasks to a later date not only decreases your overwhelm but also gives you the confidence you won’t forget them. Nice, right? Above I shared with you techniques you can use to address the challenge of having too much on your list. In the next post, I’ll share with you techniques to address the other challenges associated with your to-do list that may be getting in the way of getting your stuff done. ←Previous: Part 2: Ready to Put Your Worry to Work and Find Solutions?